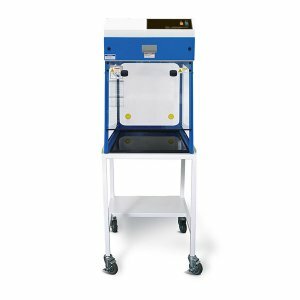 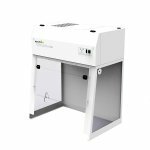 The BV1000-MFC is fully mobile fume cupboard which features the latest containment technology for full compliance with BS7989:2001 and COSHH regulations. 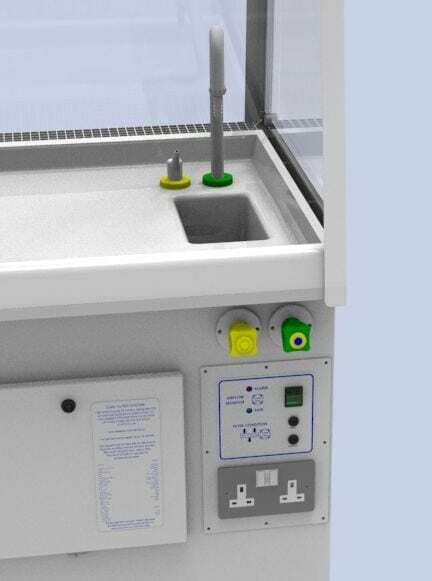 It is specifically designed for use in schools, colleges, and universities where instructors need a mobile system so students can fully view practical science demonstrations. 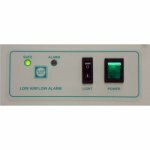 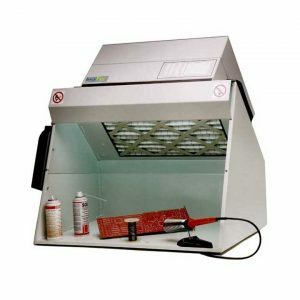 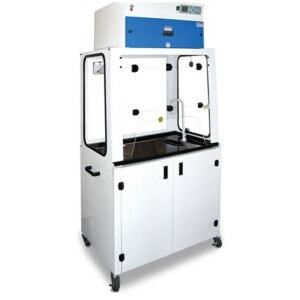 However, the BV1000-MFC is just as at home in commercial laboratory environment. 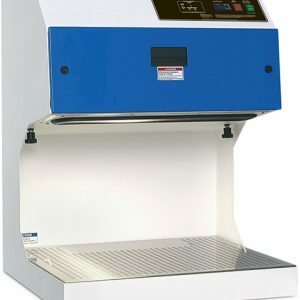 How Does the BV1000-MFC Operate? 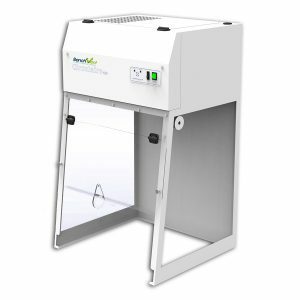 Fully mobile, the BV1000-MFC is a plug and play fume cupboard offering exceptionally high levels of filtration in a recirculatory hood. 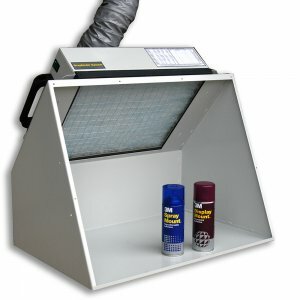 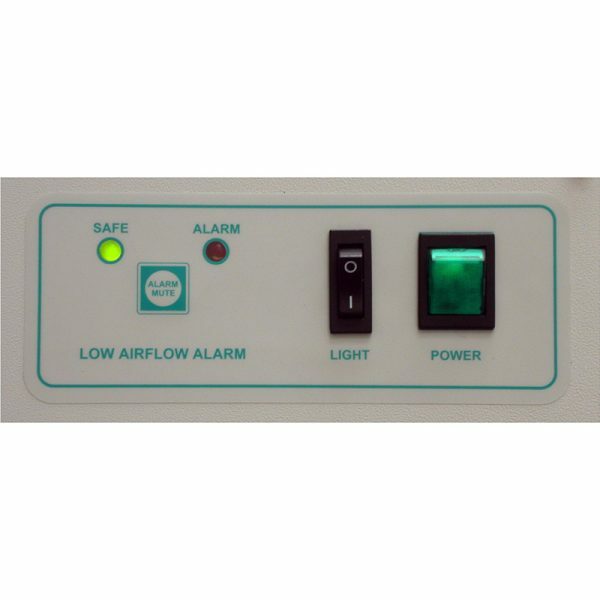 Unlike the fixed location and often expensive ducted fume cupboard variants, this mobile solution offers exceptional practicality and value for money. 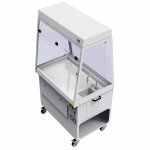 Ultra mobile, the UK built portable demonstration cupboard benefits from a wealth of features that make it the number one choice for Science classrooms in the UK. 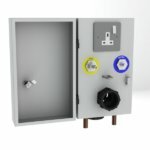 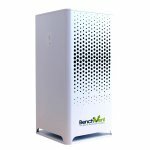 Built to conform to all UK health and safety standards, the unit has been independently tested and approved by CLEAPSS to ensure compliance with BB88 and all associated British standards. 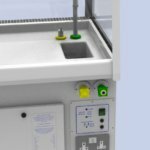 CLEAPSS is recognised by the Health & Safety Executive as well as the Department for Education for the provision of guidance and advice for the education sector. 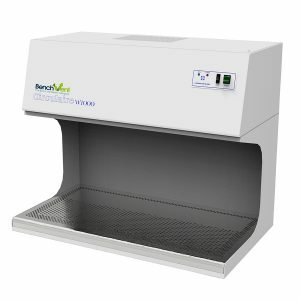 The BV1000MFC efficiently protects staff and students from all fumes and hazardous substances associated with GCSE and A Level curriculum chemicals. 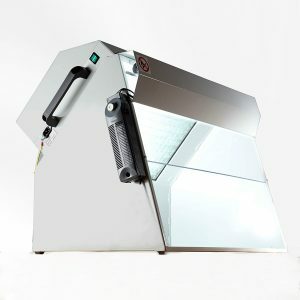 It is also protected against future changes with the ability to easily switch between filtration media. 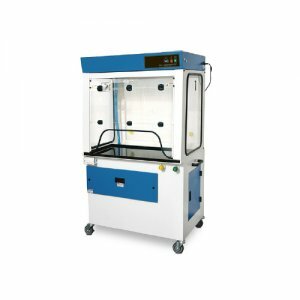 COSHH Regulation Nine stipulates that this type of equipment should be tested and calibrated at intervals of no greater than 14 months to ensure continued safe operation. 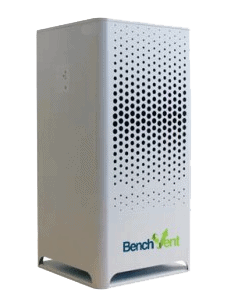 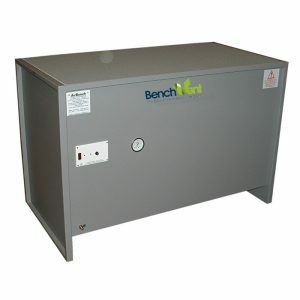 So that compliance with this mandatory requirement is achieved BenchVent can provide full LEV testing and routine servicing of fume cupboards which is the key to sustained safety and reliability. 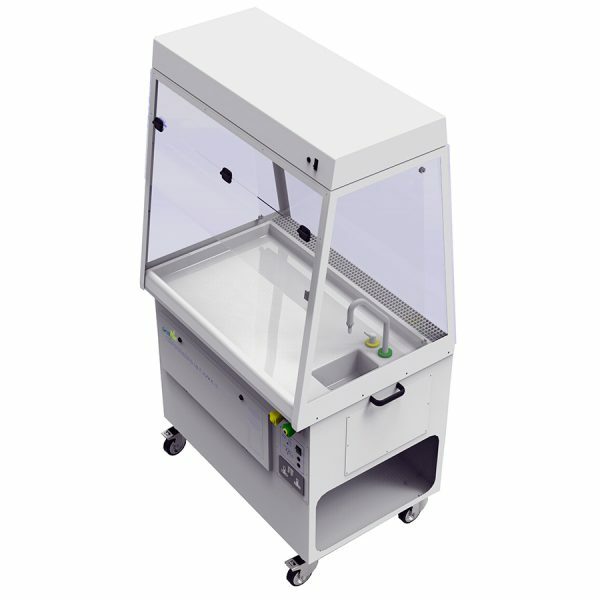 Fitted with side handles for easy steering and control, the unit can be easily transferred between rooms across the Science department. 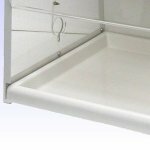 With a size that fits through any standard door, and quick release wheel connections that make setting off and securing into place effortless. 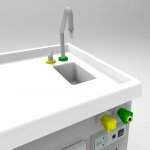 The design also benefits from 2 front mounted electrical sockets. 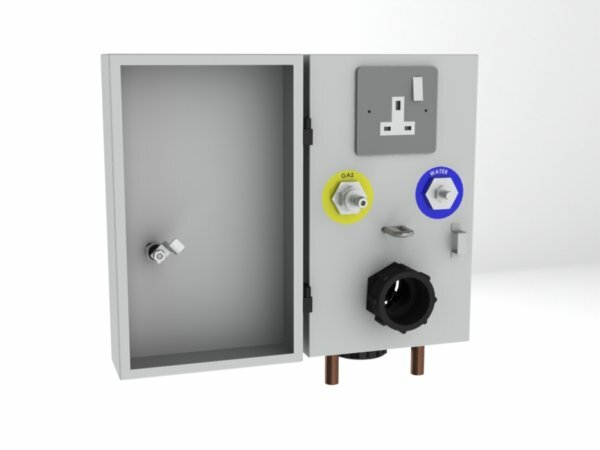 Should Euro or US friendly sockets be required the unit can be customised during the build to meet your requirements, please contact us for more information on this.